Development and assembly of a machine with parallelkinematics, made up of six arms, five of them motorised. Development and assembly of the first machine with parallel kinematics in the country. Usually machine tools are of a kinematics series, i.e. having independent axes that provide each with a single-direction displacement (X, AND, Z, etc.). In this project a machine with parallel kinematics was developed and built, made up of six arms, five of them motorised. From a control perspective, it was necessary to undertake a mathematical formulation that would transform the spatial co-ordinates of any point in positions relative to each one of the five mobilearms. 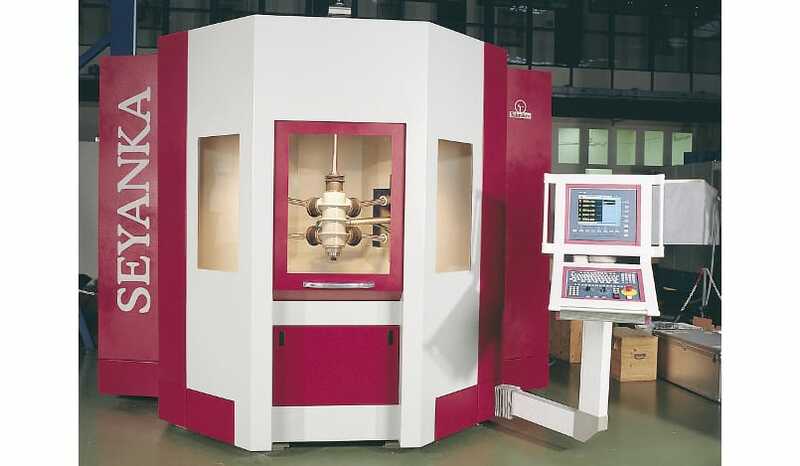 It was the first 100% parallel kinematics machine in the country.